I tried going back to v2.2.1 (just copying over the resume.dat file), and now everything that I had added in the newer version has to go through a hash check. My guess is that the resume.dat file was not compatible with an older version. uTorrent 3.4 Beta build 30305 are now available for your Bittorrent Inc.'s roulette game of chance. Round and Round we Go....Where it stops No-one knows! 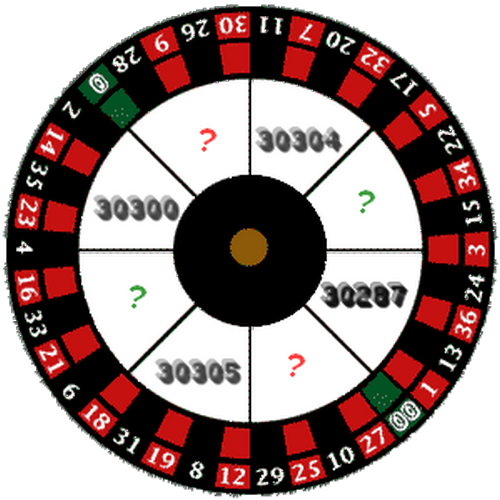 Bittorrent Inc.'s roulette game of chance. @Beasly - LOVE IT!!!! LMFAO!!! I got 30305 one out of 5 times (on the 3rd DL). It'd be laughable if we didn't have to put up with it. Are you measuring the data transfer rate, including the protocol overhead? Which tools did you use to measure the data rates? Do you feel that uTorrent is being clear about which it is reporting? Will the problem connecting to UTP when seeding be fixed while in beta or are you waiting for it to become a stable release! Yes, that is intentional. We now have a system in place that delivers different builds in different proportions (in this case 20%), so that we can test changes independently. This is going to help us get fixes to you much faster, once 3.4 comes out. In this particular case, 30305 is the fix-display-values track. We are doing work in that branch to fix a long-existing problem in the way that uTorrent draws the torrent information in the torrents ListView. By the way, if you can think of a good way to communicate that to the user base, please let us know. Are you measuring the data transfer rate' date=' including the protocol overhead? 3. As long as uT is being delayed/averaged - no. Time to stop this no-sense averaging. The display on the graph is clear about overhead, not so on the main view. We now have a system in place that delivers different builds in different proportions (in this case 20%), so that we can test changes independently. If what you say is true then why are there still previous builds available for us to download? Status text not changing when moving payload. I would suggest that your CVS may need some looking at! You expect "too much", be happy they even update this thing at all. Labels incorrectly display the number of entries under each label. Inactive, Downloading, Torrents and Active work, but custom labels (Except No Labels) all show (1), even though they contain more.